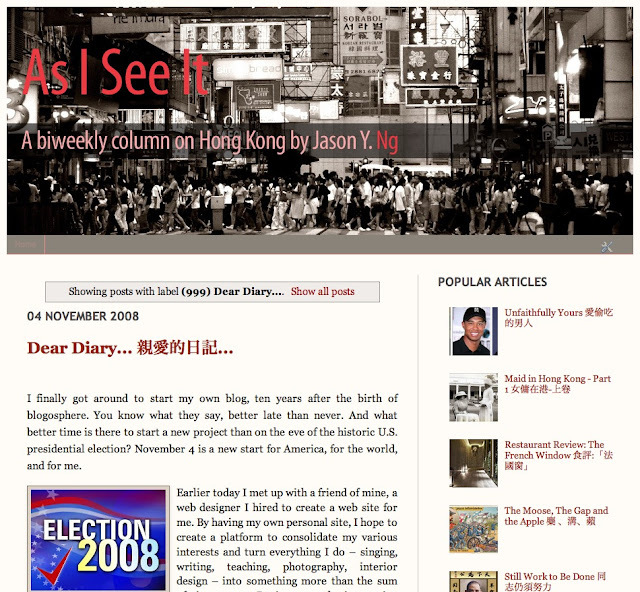 This month marks the third birthday of my blog As I See It, a social commentary on the trials and tribulations of living in Hong Kong. The occasion coincides with the 100th article I have written under the banner. Having reached a personal milestone, I decided to take the opportunity to reflect on my still-young writing career and wallow in, dare we say, self-congratulatory indulgence. It all started in November 2008 on the heels of the last U.S. presidential election. I was getting ready to create a personal website as a platform to consolidate my interests and pursuits. To do that I needed content. That’s how my blog – or my “online op-ed column” as I prefer to call it – came into being. Before I knew it, I was banging it out in front of my iMac every night, going on and off the tangent and in and out of my stream of consciousness about the odd things I experienced in the city, the endless parade of pink elephants I saw everyday that no one seemed to bat an eyelid at. Though singing was what I wanted to do since a child and I always thought of myself as a singer first, in the past three years writing has taken over and, in the process, taken on a life of its own. I suppose things often happen when you least expect it. If self-indulgence is my favorite pastime, then serendipity must be the story of my life. Since I started writing I have picked up a few new habits along the way. Because so much of writing is about reading and learning from what you read, each time I come across an interesting expression in a book or a quotable line from a movie, I will scramble to jot it down somewhere, before my 15 seconds of short-term memory run out. That explains why my desk is peppered with random scraps of paper with scribbling understood by no one else but me. The saying that “to a man carrying a hammer, everything looks like a nail” is an apt one for writing. At times it seems that even the most mundane of my daily experiences, from window shopping in Causeway Bay to an argument with a minibus driver, is worthy of a blog entry. 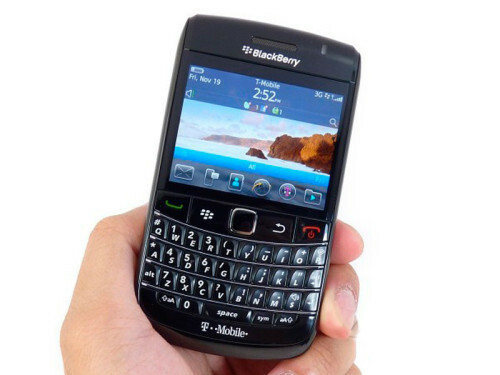 And because I never know when the next topic would come up or how long my creative juice would flow, I am known to get up in the middle of night and work my opposable thumbs on the Blackberry placed inches from my pillow. I regard myself a perfectionist – a tattered copy of Strunk and White's The Elements of Style is never too far from my desk – and perfectionism begets revisionism. In the foreword to his famous sci-fi novel Brave New World, Aldous Huxley urged writers to “resist the temptation to wallow in artistic remorse” by revising their works to correct errors and defects. If serendipity is the story of my life, then chronic remorse must be my destiny. 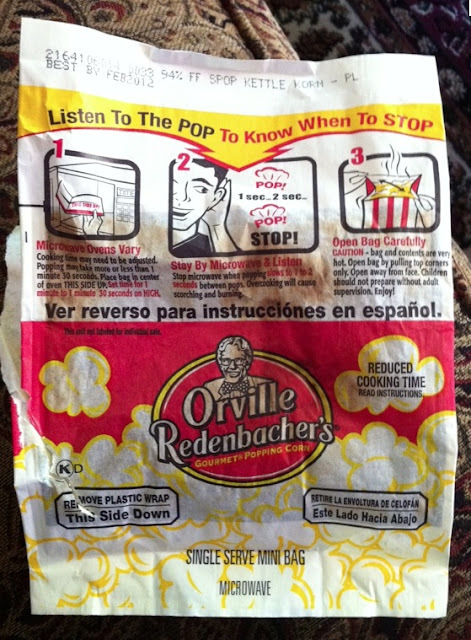 When it comes to editing my writing, I take notes from, of all things, instructions on the back of a popcorn box: stop the microwave when popping slows to two to three seconds between pops. In other words, I would keep editing until the revisions whittle down to a half dozen changes between versions. Until then the article is deemed unfit for public consumption, for there is always a better way of saying the same thing and what seems brilliant today can look painfully tedious the next day. Famous writers have their famous writing habits: Ernest Hemingway insisted on writing 500 words a day and Truman Capote was known to write lying down. I, on the other hand, choose to write the way microwave popcorn is made. It goes to show that every writer, even the most inexperienced and unskilled, is entitled to his own quirks. As much as reading has made me a better writer, writing has made me a better reader, by heightening my senses to appreciate all the hard work that goes into crafting a sentence or making a scene come alive – all the secrets to be unlocked and treasures to be hunted on a single page. Writing has also given me new found respect for those who make it their living. For the price of a single drink at a bar, the reader reaps what has taken the author years or even a lifetime to put together. 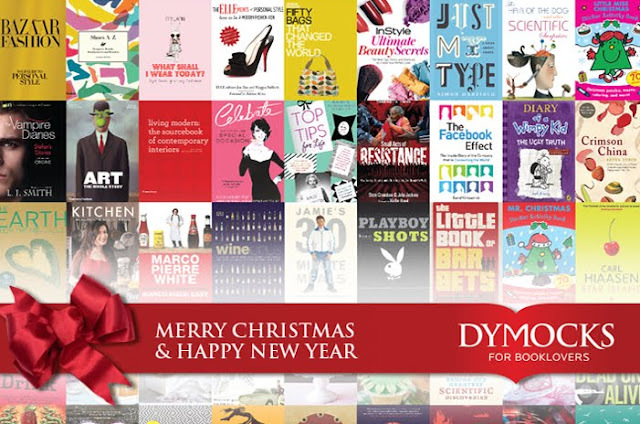 Worse, half the book proceeds is kept by the bookstore and half of what remains goes to the publisher. Perhaps that’s why writer as a profession commands so little respect in Asia. In Hong Kong, where “freelance” often means “free,” whenever I tell people I am an author, they respond with anything from mild acknowledgment to complete disregard. But the moment I mention I am a lawyer by day, I am hit back with a sudden burst of interest. “So what kind of law do you practice?” he asks, while checking out the watch I am wearing. Respect and social acceptance, for what they are worth, are things I would have to give up alongside a comfortable living, if I were to quit my day job to write full-time. How many of us are brave enough to make those sacrifices? Looking back on the past hundred blog posts, I see the best and also the worst. 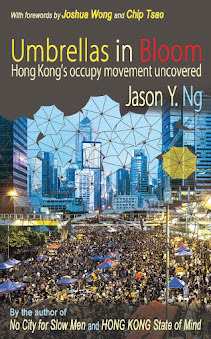 My two-part series "Kowloon Complex," for instance, earned me a slew of scathing comments, with one reader calling me “prejudiced, pretentious and stupid.” Experiences such as that taught me not only to take criticisms as readily as I dish them out, but also to defend my views with solid research and listen to both supporters and critics. And listen I do. 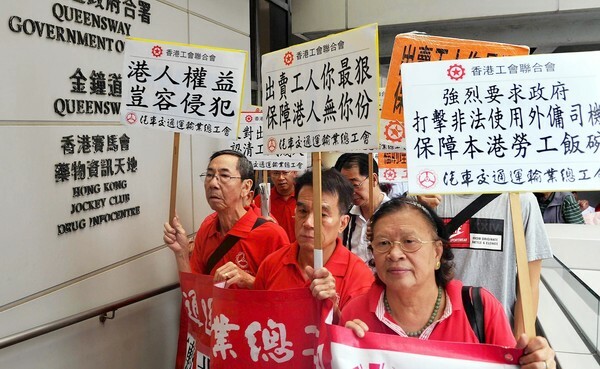 For instance, because readers are slow to take to my political commentaries, such as my responses to the express rail link saga and the five constituencies resignation (五區總辭) campaign, I try to steer away from those topics and focus on things that interest both writer and reader. 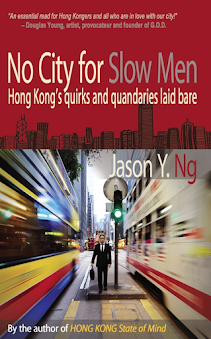 Over time, I have learned that my most popular articles are also my most personal, like "Ah Gah and The Hill" about my childhood growing up with my sister Margaret and "A Tale of Three Cities" when my comparison of Hong Kong to Shenzhen and Macao prompted me to reflect on who we are and where we are heading. Both articles made it into my first book and remain my personal favorite. Writing satisfies my narcissistic tendencies and scratches my obsessive-compulsive itch. But it also makes me a better person. Whenever I write, I seem to take on a different persona, one that is far more reasoned and reflective than I actually am. The transformation both surprises and delights me. In time I realize that writing provides a conduit to a good side of me I didn’t know existed. And if there is one thing that I would like my reader to take away from my blog, it is reflection. Before accepting someone’s opinion or forming your own, whether it is the right of foreign domestic workers to apply for permanent residence or the decision to visit northern Japan after the radiation leaks, ask a few questions and think the issues over. You may look to a friend, a co-worker, The Apple Daily or my blog for a point of view, but ultimately it is you who must decide what position to take. Healthy skepticism and constant reflection are the stuff that separates the independent thinker from the intellectual couch potato. In a city inundated with half-truths, pseudo-science and outright lies, it is, as philosopher John Stuart Mill once said, better to be Socrates dissatisfied than a fool satisfied. So keep reading and keep reflecting.